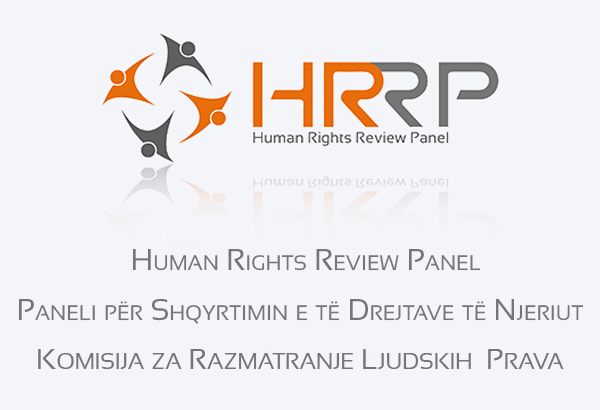 The European Union established the Human Rights Review Panel (the Panel) on 29 October, 2009 with a mandate to review alleged human rights violations by EULEX Kosovo in the conduct of its executive mandate. The Panel is an independent, external accountability body which performs its functions with impartiality and integrity. It complements the overall accountability of EULEX which includes the EULEX Internal Disciplinary Mechanism and the EULEX Third Party Liability Insurance Scheme. The Panel reviews complaints that are submitted to it within six months from the date of the alleged violation. The Panel decides if a complaint is admissible and when admissible, it reviews the complaint and renders a finding as to whether or not EULEX has violated the human rights law applicable in Kosovo. When the Panel determines that a violation has occurred, its findings may include non-binding recommendations for remedial action by the Head of Mission. The recommendations of the Panel and the subsequent actions by the Head of Mission with regard to the implementation of its recommendation are published in the English, Albanian and Serbian languages on the Panel’s website.